302 pages | 68 B/W Illus. "STEM education is undergoing a paradigm shift as teachers in the US and around the world move from banning to requiring mobile devices during lessons, lectures, labs, and field trips. 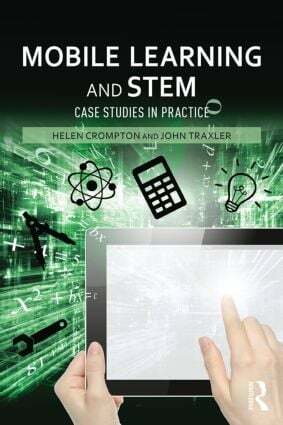 Internationally renowned mobile learning experts Helen Crompton and John Traxler have assembled a timely and indispensable resource for teachers, education researchers, and scientists navigating this transition. The book is brim-full of evidence-based, actionable case studies at primary, secondary, tertiary, and informal education levels." Dr. Declan G. De Paor, NSF Project Director, "Google Earth for Online and Distance Education (GEODE)"
Helen Crompton is Assistant Professor of Instructional Technology in the Department of Teaching and Learning at Old Dominion University in Norfolk, Virginia, USA. John Traxler is Professor of Mobile Learning at the University of Wolverhampton, UK, where he also directs the Learning Lab.